University of education Lahore admission 2019 are now open for bachelors, graduate, undergraduate, postgraduate, mphil and phd programs in all the subjects. 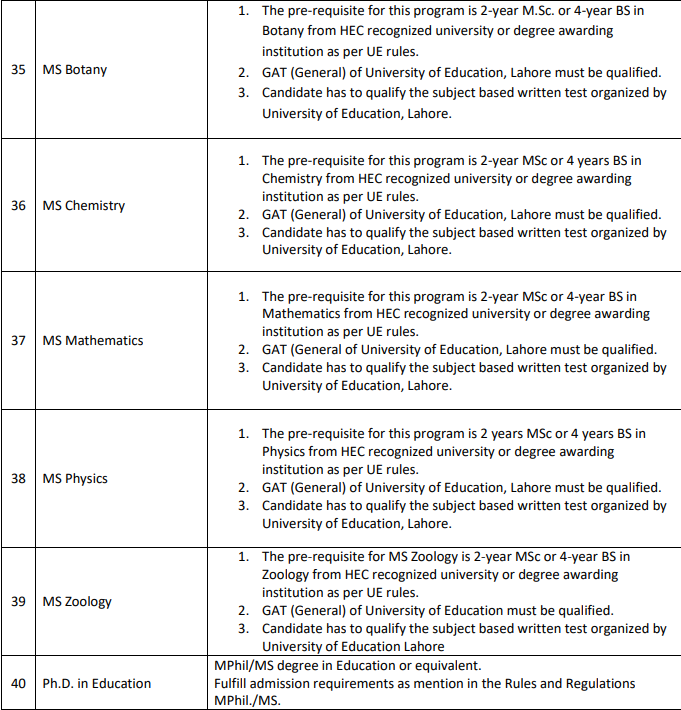 Candidates who have finished their last degree can apply for admission in education university lahore. Here all the students can check eligibility criteria, form download, merit list, entry tet, scholarships details free of cost. 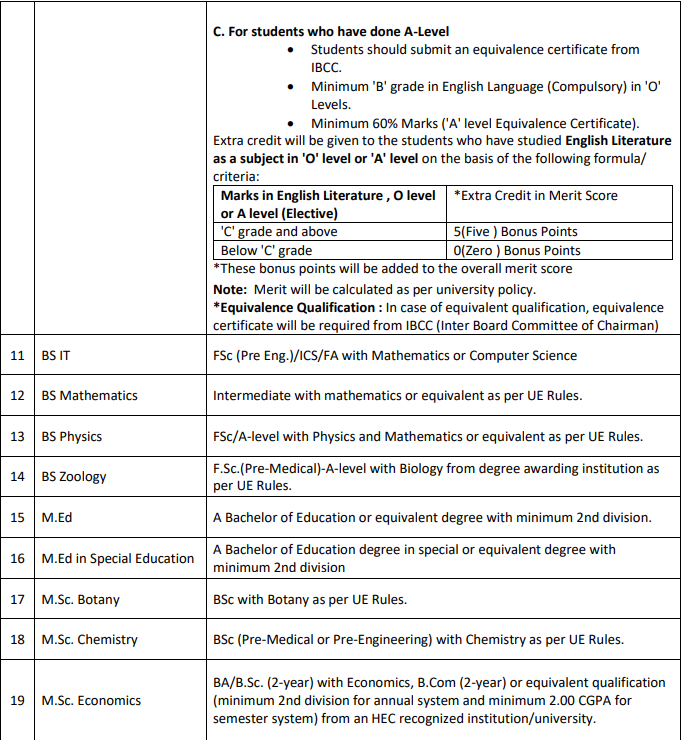 UE Lahore Admission 2019 Last Date is written on advertisement along with all the eligibility criteria and programs offered. University of education is one of the finest and top education university in Punjab in which millions of students apply for admission every semester and only lucky ones got enrolled for classes. Only self-motivated and genious minds got there to study their interested subjects. 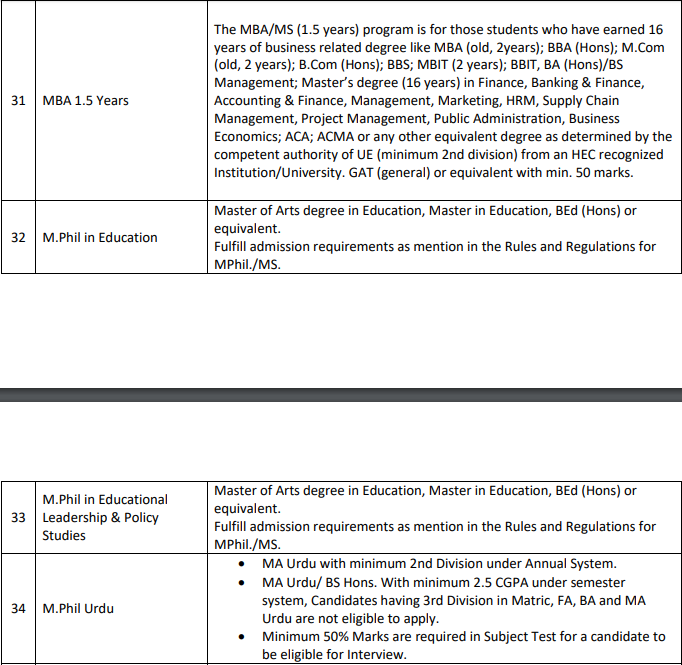 If you think that you are eligible and can get admission in UE Lahore then you must apply for admission. Do not worry about financial issues because University also provide scholarships to the needy and deserving students. 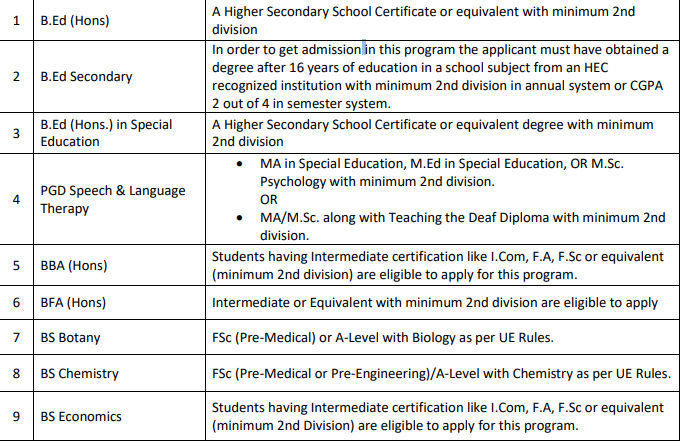 Scholarship are available on need base and special quota students. If you got admission in Education University Lahore then this is your golden chance to prove yourself that you are excellent performer and you can do something special in your life. University of education main campus is in Lahore and it also have sub-campuses in all over the Punjab so that students can get education in their nearest institute. Sub-campuses are in okara, multan, vehari, joharabad and all these campuses have a proper admission process through that every student have to go through. University was established in 2002 under the govt of Punjab to promot education in Pakistan. You can get complete information about Education University Lahore Admission 2019 Last Date from here at webstudy.pk that is best place for students to download guess papers, model papers & past papers. 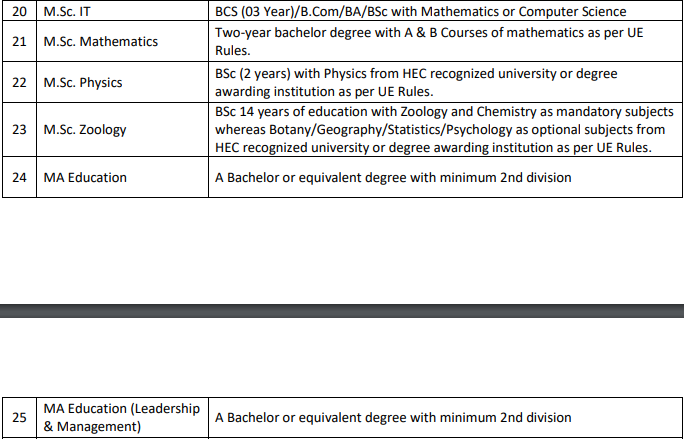 BBA, Bed, Bs (HONS) in Chemistry, Mathematics, Zoology, Physics. 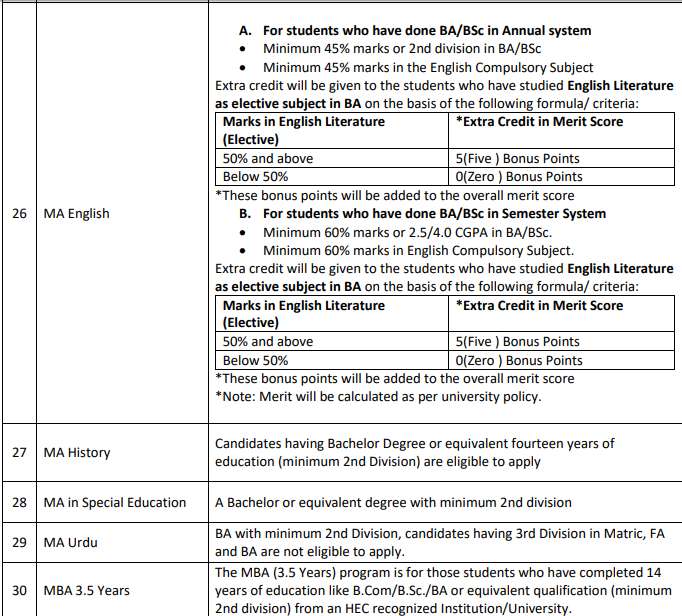 To get admission in UE Lahore Undergraduate admission 2019 you have to follow the simple rules given below. You have to get your prospectus from university campus. 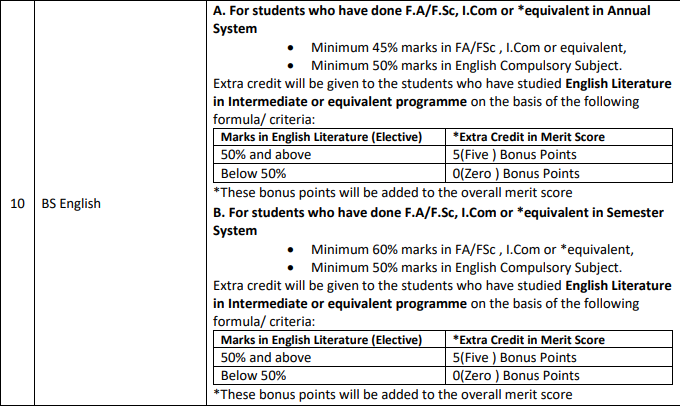 There will a application form inside the prospectus. Fill the admission form and submit your admission processing fee in HBL bank. Attach all your required documents and bank challan copy with admission form and send to the admission office. Admission processing Fee is Rs. 500/-. 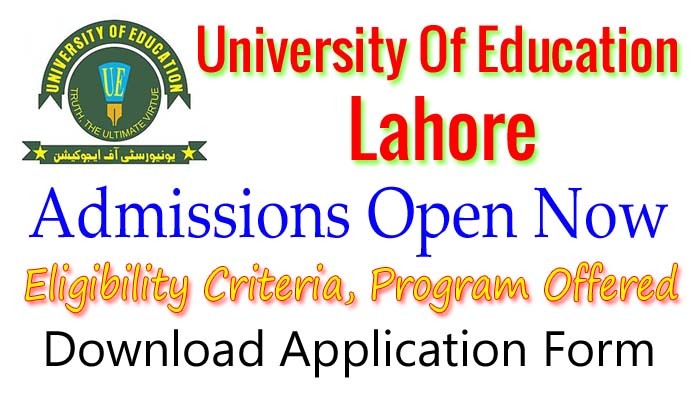 Note that thise information related to UE Lahore admission 2019 is collected from different online sources but for authentic news & updates of Education University Admission 2019 visit official website. You can download application form and challan copies from www.ue.edu.pk that is official website.